For any marketer, we feel a sense of excitement when we are able to convert a visitor to a customer. However, only the first half of the battle has been won. The other half is trying to retain those customers by probing them with email newsletters and offers over the span of a few months to a year. This part is more difficult and usually results in them going inactive and not engaging with your brand as a whole. Retaining customers is an important yet challenging task. Don’t worry, many email marketers face this problem too. Customers will naturally decrease by about 22.5% every year. So why do we bother trying to retain customers when we can just find new customers? First, it’s a lot easier to sell to existing customers than new ones – 50% easier to be exact. This is because your brand has already done the hard work of establishing a level of trust, so convincing them requires little work. Second, it’s a lot cheaper. It costs between 4-10 times more to acquire a new customer than to keep an existing one. This is why win-back email campaigns are so important. But how effective are they? ReturnPath conducted a study where they analyzed 33 different win-back email campaigns by different ecommerce stores to see how effective they were at turning a non-active customer into an active customer. Bonus: C﻿﻿lick here to download our free PDF with 25 examples of the best win-back emails! 74% of marketers say targeted personalization increases customer engagement (eConsultancy). Customers will appreciate you using their name instead of “hey you”. It creates more of a personal connection than a retailer-customer interaction. Netflix does it right with their personalization: using the first name, effective copy (note how they use pronouns, e.g. “you” and “your”) and a list of devices they can view shows on. The email also includes a strong call-to-action personalized to the customer, “I’d like to come back”. There are many reasons why your customer hasn’t purchased from you in a long time. Understanding your customer is super important in the world of ecommerce. If we do not understand why they are going lapse, we will just repeat the same mistake over and over again, hoping to get a different result every time. So Instead of trying to guess the answer, a better way would be to ask them directly. Inbound adopts for a personalized message request. Maybe Inbound is sending too many emails or irrelevant ones. They provide an opportunity to let the customers decide what kind of emails they want to receive so it’s more personal and targeted. They also send a feedback request at the end to learn what they could do better. Dollar Shave Club anticipates that customers may not want their razors every month. That’s why they ask their customer if receiving a razor every second month would be better and shows them how this could be done. It’s a fact that your customers will appreciate your emails if it’s related to them. By segmenting your email list, you can deliver more relevant win-back email messages to each group. Here’s a win-back email by Dropbox to users that have not added or uploaded any files to their account. They remind users to start reusing their service by highlighting the features of their product. Warby Parker sends out an email whenever someone places an item in their shopping cart but abandons it. They know the customer has enough interest to add the product to their shopping cart, so a simple email may be enough to make them purchase the product. They use the copy, “want a better look?” to let customers know the benefits of their glasses – looking great! There’s no magic email that will engage every inactive customer. 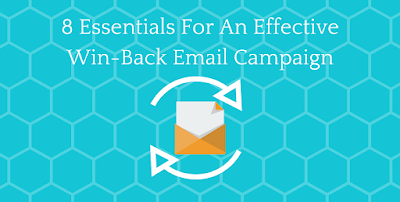 That’s why you should develop a win-back email campaign comprising of several emails. 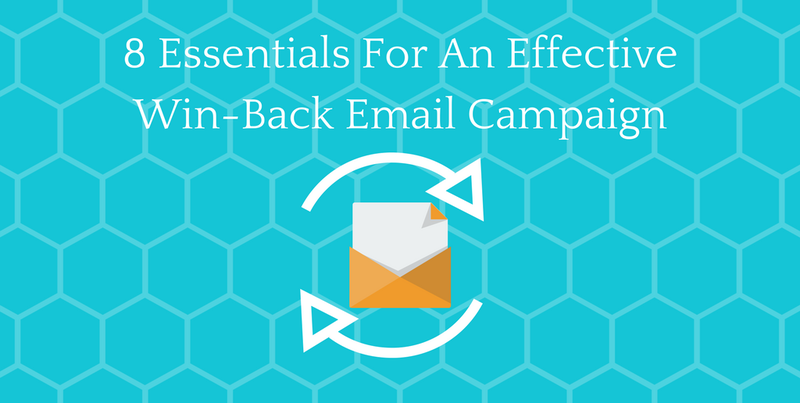 Send different win-back emails over a period of time to try engage your inactive customer. Hitting them from different angles is better than relying on sole email – also great for split testing and gathering data! Here’s Adidas’ third email in their 3-part win-back email series. They opt for the urgency tactic, reminding them that they have a limited time before the discount offer expires. Why not try to engage your customers by giving them something – maybe a discount or a gift. Study shows that win-back emails that contained a “$ off” discount performed better than emails with “% off” discount. A great way use this tactic is to include the discount in the subject line. Tip: Don’t send your discounted emails in the first email of your win-back email campaign series (e.g. send on the second or third email). Sometimes customers are willing to purchase from emails with no discount so maximize your revenue by saving these for a later series. If a customer doesn’t respond to your offers, you can maybe send them an even better offer than before. However, this may be risky as customers may catch on and wait intentionally for the better offer – so use it wisely! Here’s Crocs’ win-back email containing a $10 off discount. Here’s another discount offer – 100% free discount that is. Pinkberry, adds a free yogurt to customer’s account when they have not bought for a while. By offering a bonus or a free gift, you can encourage a person to come back to your store and start buying from you again. It’s better to have a small but reliable mailing list than a large inactive list that delivers inconsistent results. That’s why part of the aim of our win-back emails are to opt out people that won’t buy from you. If you tried everything, but your customer won’t budge, sometimes you just have to let them go. You don’t want to keep sending them emails over and over again as it may appear spam-like and may give your brand a bad reputation. Here’s Fab’s unsubscribe email where they opt the customer out of their mailing list, but leaves them an option in case they still want to stay on. They know the receiver will never buy so there’s no point having them on their mailing list. Here’s the clothing company, Free People, acknowledging that their customer has not engaged with their emails in a long time and ask if they still want to receive them or not. This may encourage them to engage again, but also make the customer unsubscribe. Either way is fine as there’s no point having a customer that’s never going to buy. Don’t assume one headline copy is going to be better than another. Let data guide your campaign instead of using your own opinion. The 33 ecommerce stores that participated in ReturnPath’s study split tested different subject lines like, “we miss you” and “a note from the CEO”. These had read rates of 13%. Trying to get your customers to re-engage with your brand is never easy as they stopped engaging for some reason. However, with these tactics, you will increase the odds of them re-engaging and buying from you again. What success have you had with your win-back email campaigns? We’d love to hear in the comments below or if you have any other extra tips, pop it down below too!